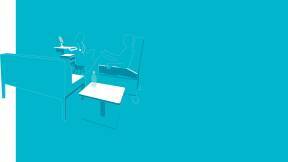 Changing patient and physician needs, increased family involvement and evolving technology are sparking a reimagining of exam rooms inspired by a more inclusive model of care. 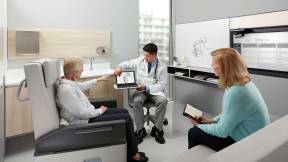 Today, exam rooms must be conceived in the context of doctor-patient interaction models to support modern needs. 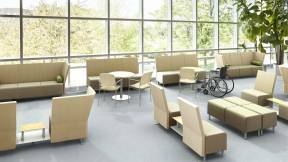 One model, known as mutual participation, was the focus of a study by Steelcase Health researchers and led to a new set of design principles that create spaces to meet today’s needs. Typical exam environments enable a fading model of care, despite clinicians’ desire to partner with patients and families, and the need for families and patients to be active participants. This article investigates the factors driving the need for change and sets the scene for the exam rooms of tomorrow. Americans make nearly one billion trips to the doctor every year, nearly three trips annually for every man, woman and child. It’s a universal scene—the exam table with its crinkly paper, the iconic doctor’s stool and a stiff chair for a family member. Maybe there’s a computer mounted to the wall or on a desk. On average, people visit the doctor three times a year. Replace the computer with a paper chart and this could be straight out of the 1950s— an era of booming healthcare construction. Nearly 70 years ago, the types of care patients needed were different. Expectations were different. Technology was different. Even the way clinicians and patients interacted was different. Yet many exam rooms today still reflect these outdated needs, failing to deliver optimal experiences for patients, family members and clinicians alike. 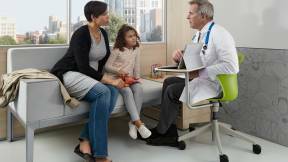 In exam rooms everywhere, patients and family members meet with doctors, discuss options and make decisions. More and more, those conversations aren’t just about curative steps— “take two tablets and call me in the morning” discussions. They’re about lifestyle and behavior changes needed to control and prevent chronic conditions such as hypertension, diabetes and obesity. The recent adoption of electronic medical records brings added complexity by introducing an additional player in a small setting. These aren’t simple one-and-done conversations. They require empathy, understanding and education. But today’s exam rooms don’t facilitate these types of interactions. 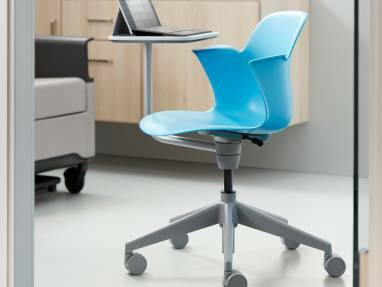 Steelcase researchers found that eye-to-eye conversations are made difficult by outdated space configurations, which emphasize the exam table as the most important feature in the room. Access to information required to reach mutual decisions is hard to share, whether it’s doctors sharing test results or patients bringing in their own research. Family members are often relegated to a side chair in the corner where they find it difficult to participate in the conversation. 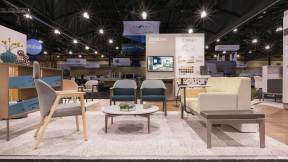 “The patient-centered care movement has put an emphasis on addressing the healthcare needs, preferences and values of patients in order to effectively deliver care,” says Caroline Kelly, researcher, WorkSpace Futures, Steelcase Health. In those same exam rooms, physicians are faced with greater pressure to deliver more efficient care—to spend less time with patients and, at the same time, provide an exceptional experience. Clinicians are keenly and, some might say, painfully aware that patient satisfaction scores directly impact compensation models and influence patients’ choice of healthcare providers in an increasingly competitive environment. The addition of technology, with the recent wide adoption of electronic medical records, brings added complexity as it’s both a benefit and a barrier to the doctor-patient relationship, providing vital information but inserting an additional player in a small setting. 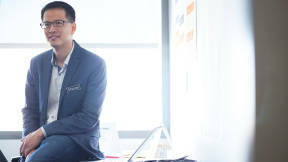 Physicians struggle to adopt comfortable conversational postures and maintain eye contact while they chart from their stool, often leaning up against a wall for awkward back support. The scene is further complicated by the fact that many doctors struggle daily with symptoms of mental and emotional burnout, feeling they’re on autopilot instead of being hands-on healers. Throughout history, the doctor-patient relationship has morphed, and today it continues to evolve as modern needs eclipse past models in which doctors maintained control and held medical information exclusively and patients were viewed as passive participants, expected to follow doctor’s orders without question. In certain situations such as surgery, the physician still needs to maintain control over the patient and focus on a specific illness or body part. 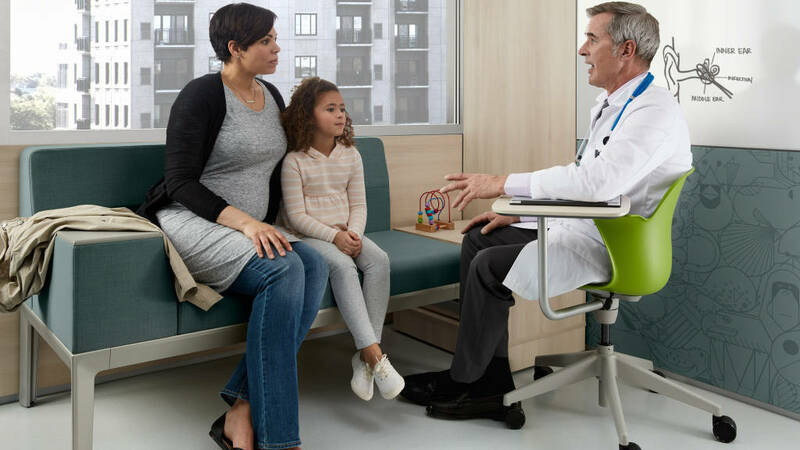 Scholars Szaz & Hollender describe this model like the interaction between a parent and child, where the doctor’s role is to tell the patient what to do and the patient’s role is to cooperate. 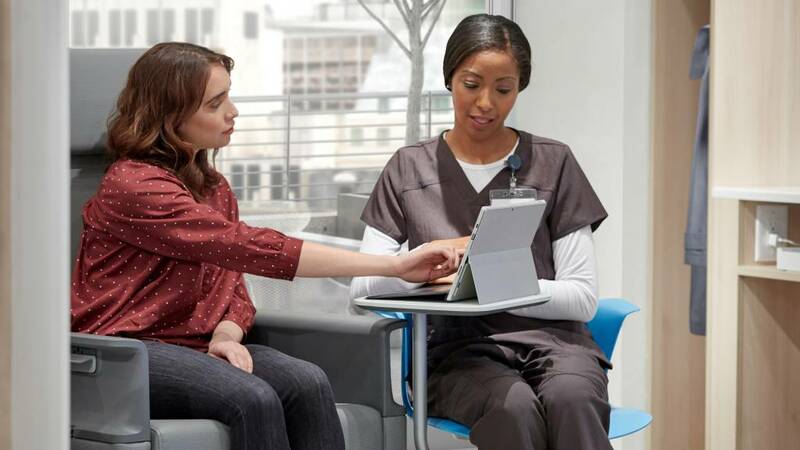 This interaction can be seen in patient rooms, imaging suites and treatment areas where clinicians may be delivering medications or changing dressings, positioning a patient for a scan or administering chemotherapy. However, in other healthcare spaces and interactions, the dynamic shifts—agency is shared between the patient and doctor and the perspective of “patient as disease” transitions to “patient as person.” Szaz and Hollender recognized that chronic illnesses required a different sort of interaction. 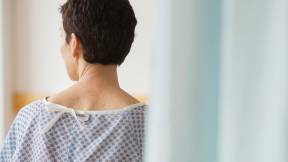 They proposed a model of mutual participation which they described as “a doctor-patient partnership, where the doctor helps the patient to help themselves.” Mutual participation is best suited for the care of chronic conditions because the treatment plan is carried out by the patient at home, away from the direct actions and control of the doctor. However, information sharing and decision making, central to the care of the patient, happen in the exam room. 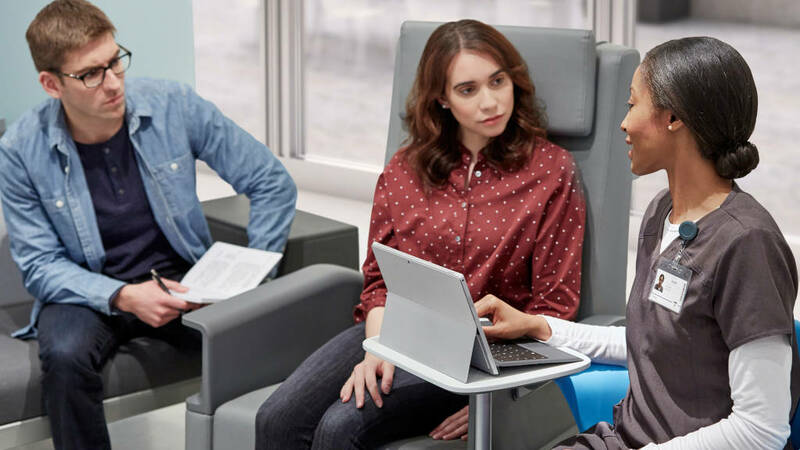 Based on historical and academic models and through their observational research and expert interviews, Steelcase Health researchers define mutual participation in three dimensions: interpersonal sensitivity, egalitarian presence and shared decision-making. Each of these principles is essential for transforming the exam room into a space that fosters patient-centered care. Interpersonal sensitivity addresses the fundamental orientation the doctor and patient have toward one another. The doctor approaches the patient holistically, not just as a disease or symptom. This biopsychosocial approach recognizes that a patient’s health is affected by biology, psychological factors such as personality and mood, and social factors such as relationships, economic status and education. But interpersonal sensitivity is intended to work both ways—the patient needs to recognize that doctors are people too, and they bring their own values, experiences and needs to the interaction. While interpersonal sensitivity positions doctors and patients as multifaceted individuals, egalitarian presence addresses the dynamic between them. A systematic review of research on patient decision-making roles found that there is a growing trend for patients to want to share in decision-making with doctors. For true shared decision-making to occur, both share information, build consensus about preferred treatment and reach agreement on a treatment plan. Doctors, patients and their families need to be able to engage in shared decision-making to the extent they desire and are able. Regardless of their preferences, the design of the exam room should not be a barrier to this interaction. When everyone is present in a way that allows for shared control, collaboration can occur more naturally. To support interpersonal sensitivity, egalitarian presence and shared decision-making the exam room must contribute new ways to share information, examine patients and interact with both family members and technology. 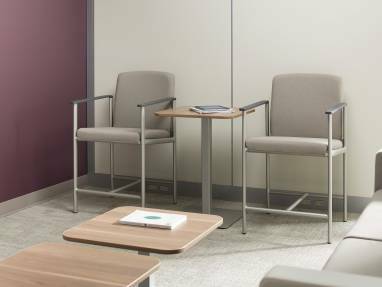 For exam rooms to support physical examinations and also facilitate these desired behaviors, a new design paradigm is needed. 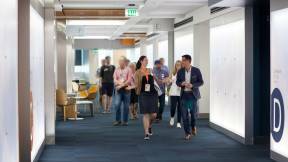 Steelcase researchers call it “The Diamond.” It allows greater involvement for provider, patient and family, as well as shared access to information. This new paradigm supports the behaviors that are essential for effective healthcare and maintaining personal relationships between patients and staff that impact satisfaction scores. It includes family as equally important in the patient’s health, and supports clinicians’ physical needs as well. Instead of being intrusive, technology is sensitively integrated into the experience to support conversation. 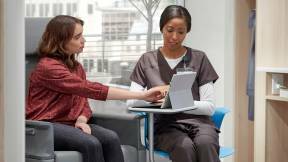 Node with ShareSurface allows clinicians to quickly change postures and easily share the screen with patients and family members. 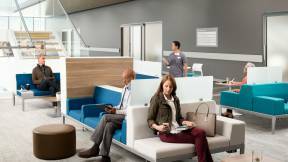 Exam rooms today must be hardworking, high-functioning spaces that encourage the activities, interactions and technologies that create and sustain connected, satisfying and effective health experiences. New paradigms such as The Diamond must be incorporated into space planning, reconciling the desire for both empathy and clinical efficiency. 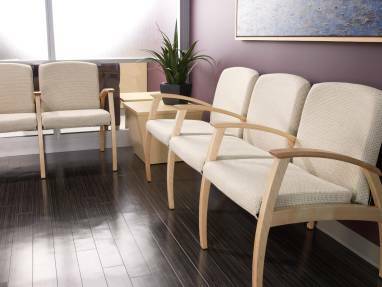 An exam room should promote communication between the healthcare provider, patient and caregiver. 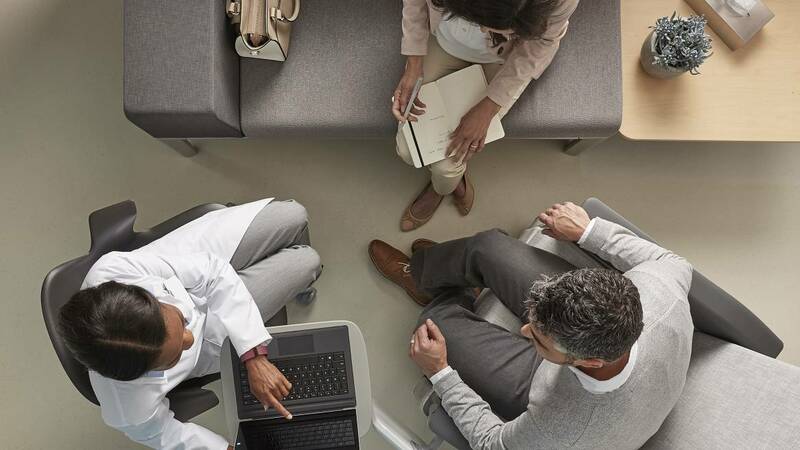 Michelle Ossmann, MSN, PhD, Steelcase’s Director of Healthcare Environments, explains how the environment can play a key role in facilitating the use of technology and allowing for productive visits. Americans make nearly one billion trips to the doctor every year, nearly three trips annually for every man, woman and child.